For more information on the Division of Business Services, click here. A Penn alumna, Marie has been in professional service to Penn for more than 35 years. After working as a recruiter in Human Resources, she joined the University staff full-time as a personnel specialist in 1981, upon her graduation with a BA in Human Resource Management. Marie was promoted to the position of Vice President in February 2006; in this capacity she oversees 19 of Penn’s auxiliary enterprises and service units. 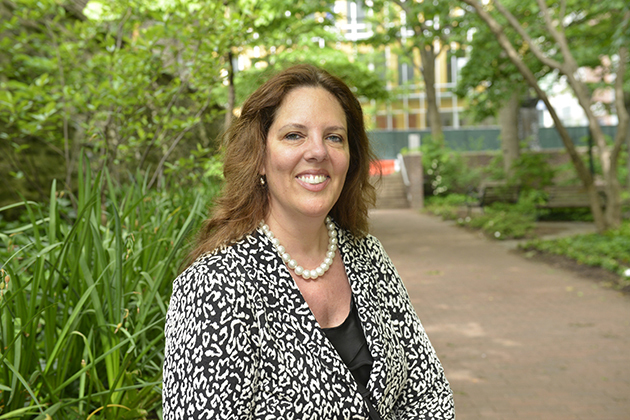 In her former role as Associate Vice President for Business Services, she was responsible for many of the Division’s operating units, including Housing and Conference Services, Dining, Off-Campus Services, the University Club and Penn Children Center. Marie has served on several University committees, including President’s Committee on the Agenda for Excellence on Organizations, Institutions, and Leadership, the Integrated Student Services Committee, the Human Resources Benefits Redesign Committee, the Benefits Appeals Board and the Trustees Social Responsibility Advisory Committee. She is also a member of the Eastern and National Associations of College and University Business Officers, and the National Association of College Auxiliary Services.